Seventy-year-old Gatoloai Tili Afamasaga has played an instrumental role in the education sector in her native Samoa for over 40 years. Ms Afamasaga started her career as a teacher, then went on to become a teacher trainer. 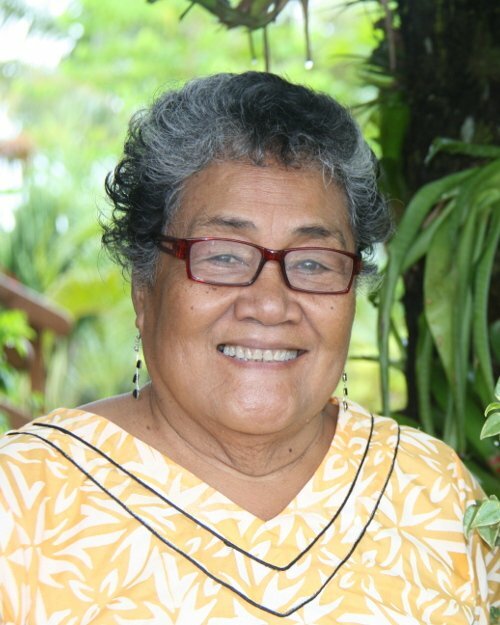 In 1984, she was appointed Principal of Western Samoa Teachers College, a position she held for thirteen years. When the college merged with the National University of Samoa in 1997, she became its first Dean of Faculty of Education. After eight years, she became the first Director of the university’s Oloamanu Centre for Professional Development and Continuing Education. “There have been so many transformations over the years, from the time of New Zealand Minister of Education Beeby and his influence on our education system to the appointment of the first Samoan Director of Education, Aiono Dr. Faanafi Le Tagaloa, and the development of the Curriculum Development Unit back in the day,” says Ms Afamasaga. “Gatoloai’s capacity to always think of the big picture ensured that teacher education in Samoa has always strived to develop itself to meet the changing needs of the teachers, students and the education system,” said the Ministry of Women, Community and Social Development in Samoa in a statement. Since 2012, Ms Afamasaga has been working as a consultant within all areas of education and social development. She has been involved in the development of Samoa Qualifications Authority, and is currently President of the Samoa Workers Congress, and was until recently President of the Council of Pacific Education for eight years. She was awarded the Krishna Datt Award for Excellence in Trade Unionism and Leadership in the Pacific in 2016. This portrait of Gatoloai Tili Afamasaga was first published by the Pacific Community for the 70 Inspiring Women campaign, it is reproduced here (with some modifications of our own) with their permission. Previous Previous post: How do we fight epidemics across the Pacific Ocean?